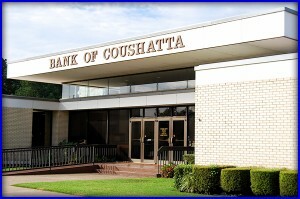 In 1897 the Bank of Coushatta was chartered and opened for business in the Town of Coushatta, located then on the East bank of the Red River. To find out more about our history visit Our History page. Our President, Jerry L Glover, has been with the bank for over 25 years. He has greatly impacted the growth of Bank of Coushatta and this community.